Vetusto Patio Pack Dune The profile of slate, the personality of porcelain. Vetusto combines the characteristics of aged slate and the benefits of modern porcelain. Its distinctive colour brings a lived-in feel to your garden. 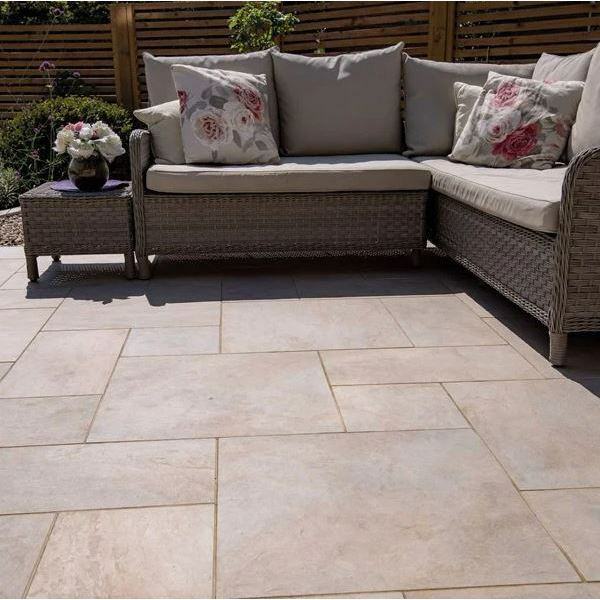 Being porcelain, it's strong, durable, highly resistant to staining, unaffected by weather conditions and resistant to colour fading. It is available in a patio pack, featuring 3 different sizes for a more random, natural appearance.